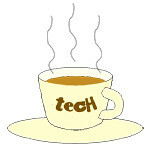 Alex Iwobi « Tech bytes for tea? The partnership will see the Swiss-Singaporean company provide data protection to the club’s growing IT infrastructure. The technology partnership between Acronis and Arsenal Football Club was announced at a media event during Arsenal’s pre-season tour to Singapore. Present were Arsenal players Alex Iwobi, Aaron Ramsay ad Aubameyang. Steve Goh, Acronis VP, APAC & Japan announces the technology partnership with Arsenal Football Club. As the Official Data Backup Partner of Arsenal FC, Acronis’ expertise will help the club deal with growing volumes of data while ensuring the continuity of their operations.